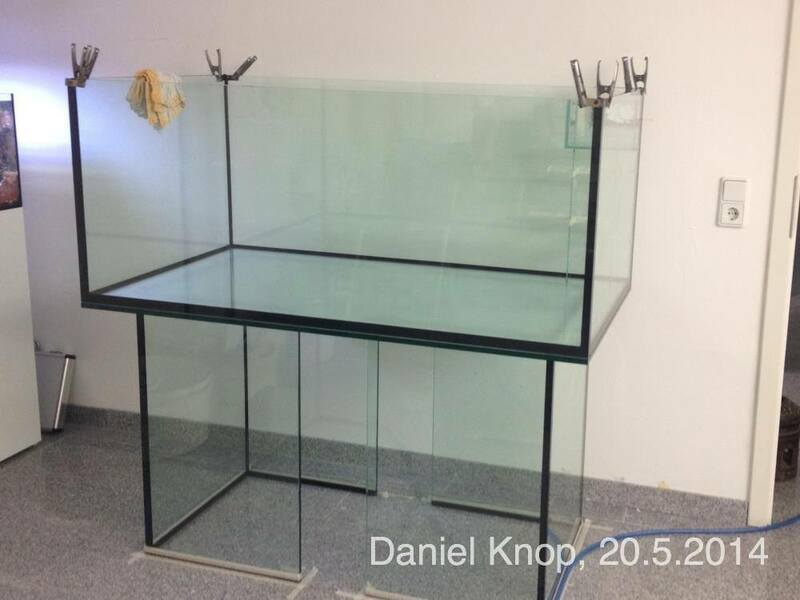 A glimpse at Daniel Knop’s latest reef aquarium project, just over a year old in this image. 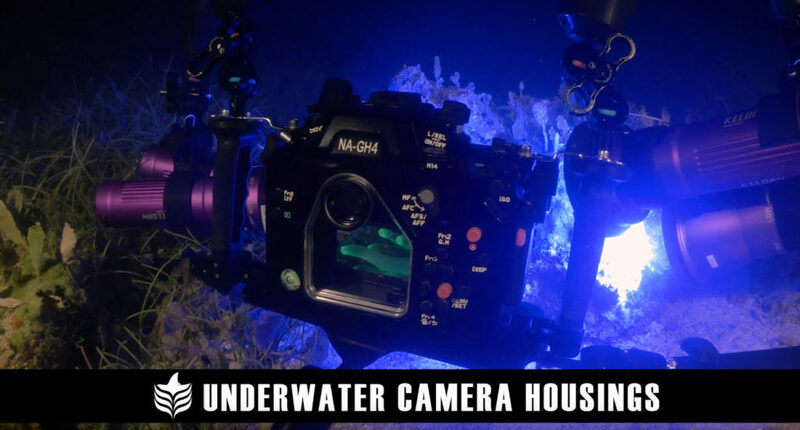 Find link to video footage taken inside the tank near the bottom of this page. All photography by Daniel Knop. 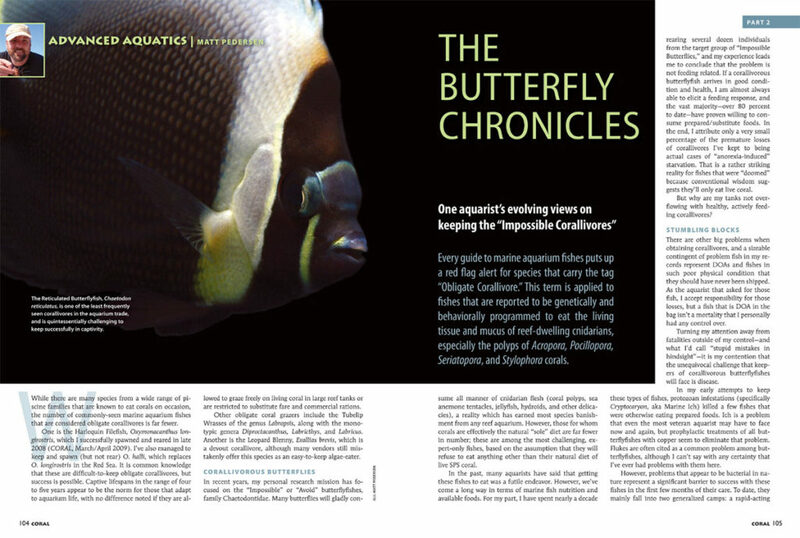 CORAL Magazine’s International Editor, Daniel Knop (founding editor of the original German KORALLE), embarked on a new reef aquarium project in 2014. In recent months, he has been quietly sharing his creation via social media, and it’s already garnering attention, including my own. 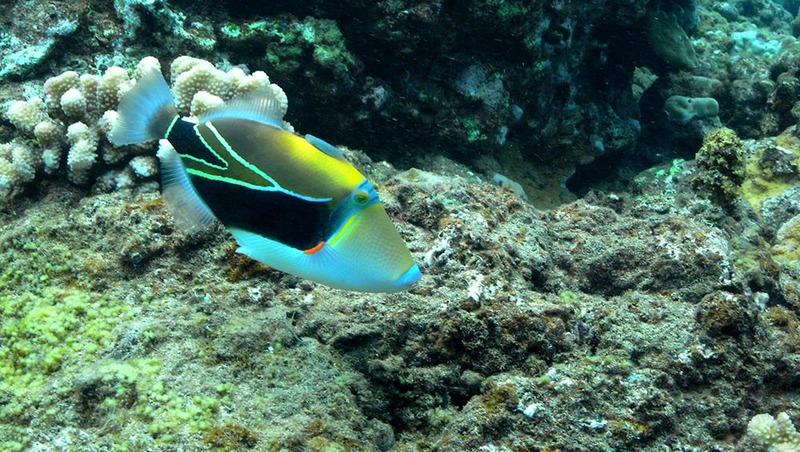 The most exciting aspect of this reef is how breathtaking it is while utilizing some of the most commonplace, routinely available cultured corals. More on that later, but first, a quick look at the system. Knop, apparently not content to just rehash what is popular, started down a unique path from the start. Check out the aquarium! The glass foundation for Knop’s reef, May 20th, 2014. 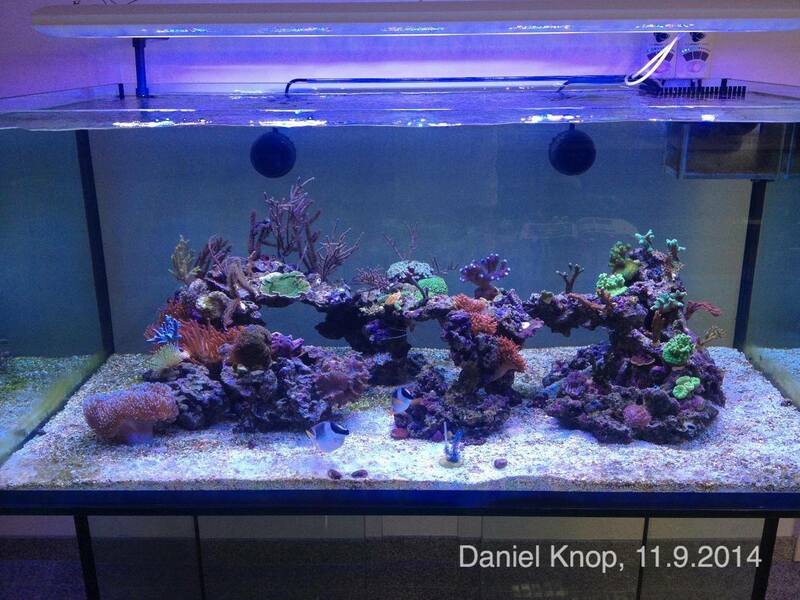 Knop’s latest reef aquarium, situated in his office, as photographed September 11th, 2014. Knop’s reef, roughly 10 months after the preceding image, photographed July 7th, 2015. Clearly, Knop is onto something with his “simplicity” approach. 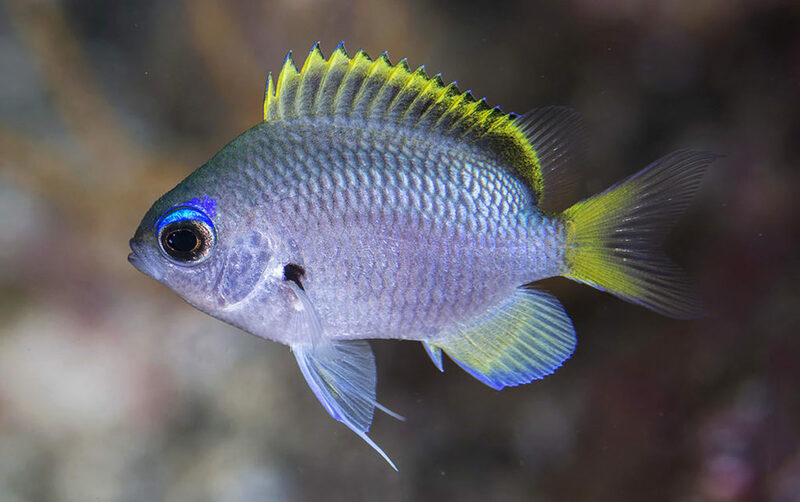 I’m not going to divulge the philosophy and technique just yet, but I will say it is hardly surprising, particularly to veteran freshwater aquarists who’ve long known that at the core, husbandry has the largest impact on aquarium success. 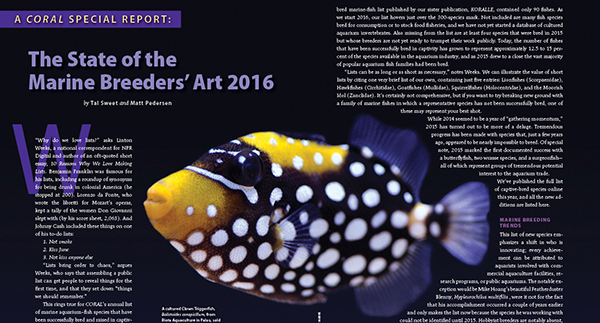 Knop informed me that this reef aquarium is slated as a feature for the December 2015 issue of KORALLE (the original, German edition of CORAL Magazine). Assuming that occurs, you’ll get to read all about this impressive aquarium sometime in 2016 in the pages of CORAL Magazine! 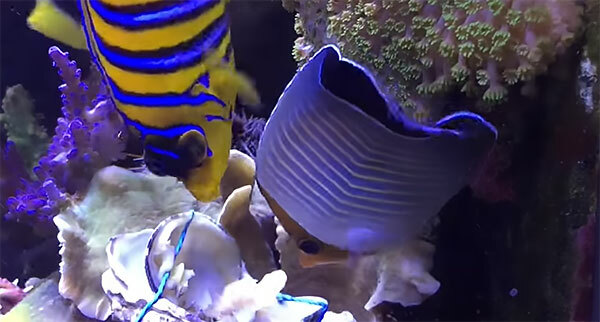 As Knop explained his concept, it readily recalled the things I did which resulted in my favorite and most successful reef aquariums. 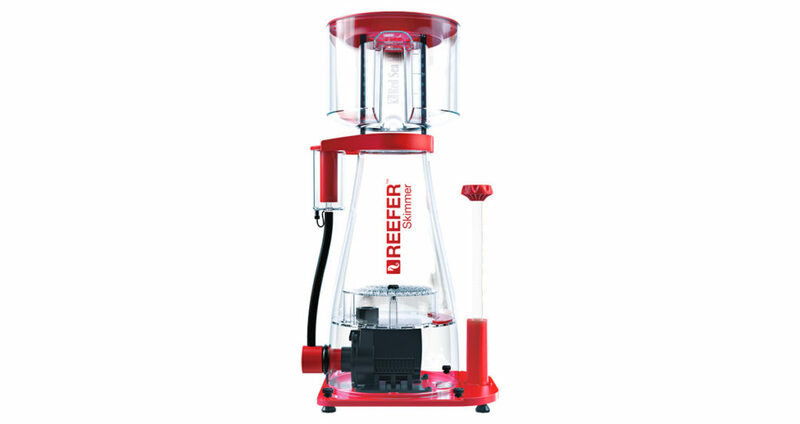 Knop’s approach to this latest aquarium seeks reliable, balanced results. He set out to avoid what he feels might be conflicting practices, where you wind up fighting yourself and the system for some elusive goal. So, while I’m not going to delve into Knop’s methodology for the system design and success today, I want to bring emphasis to the aquarium’s stocking and aquascaping. 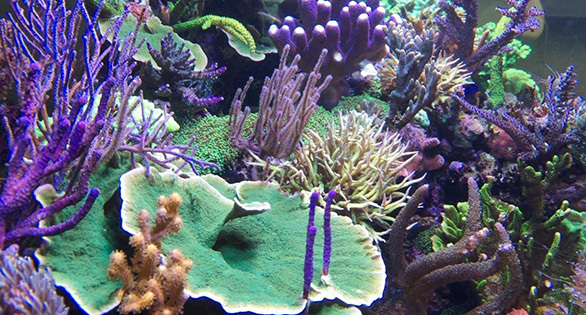 With the recent loss of freshwater aquascaping legend Takashi Amano, it seems that much more appropriate to examine Knop’s reef from an aquascaping point of view, rather than simply admiring an aquarium showcasing dozens of unique, impressive corals. 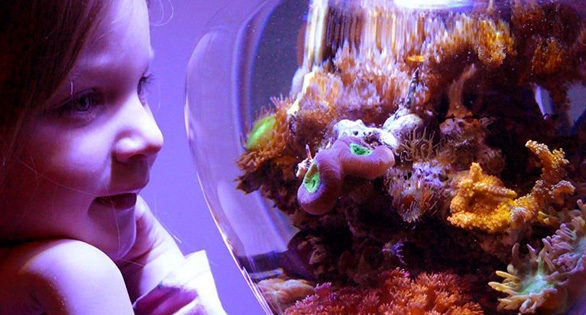 Before adding a single coral, Knop made a conscience decision to opt for 100% cultured corals in this aquarium. 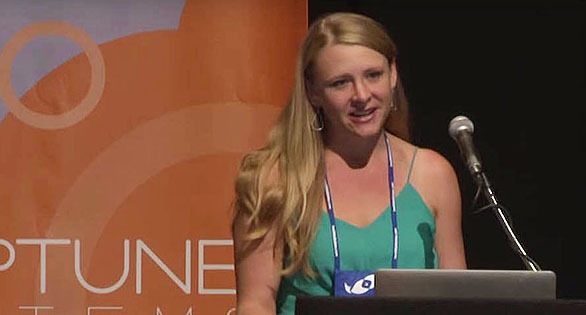 “After my history of coral farming since the middle of the 1990’s, I wanted to demonstrate that for a reefkeeper it is possible to be happy without gathering corals in the natural reef,” said Knop. 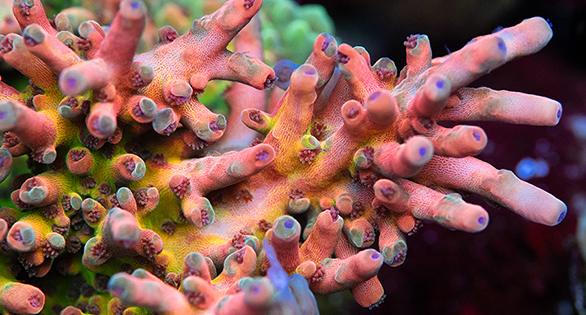 Knop’s selections are undemanding corals that are generally recognized as reliable growers. Several of the corals in the reef are readily recognizable: Green Birdsnests, Ponape Birdsnests, Purple/Blue and Orange Montipora digitata, Neon/Nuclear Green Claustrea sp., Candy Cane Corals, vibrant green branching Hydnophora, purple photosynthetic gorgonians, green Montipora capricornis, and Green and Tricolor Clove Polyps all dominate this reef. 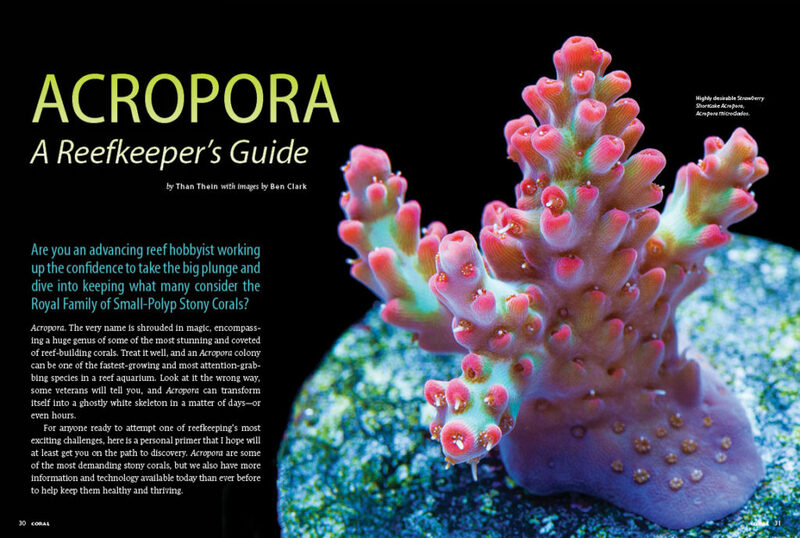 Knop diverged from the “collectoritus” that seems to dominate many hobbyist reef tanks, where aquarists might have 100 coral colonies in their reef, every last one something unique and different. 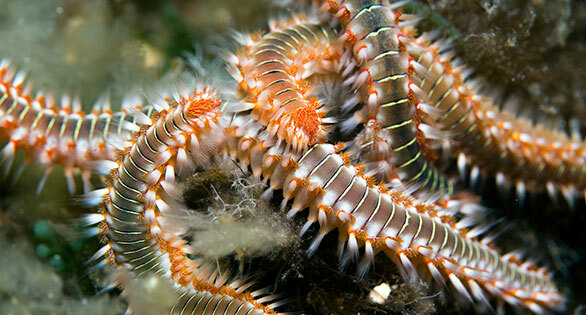 Instead, Knop opted to include more than one individual colony of a particular coral, and do so repeatedly. In this, Knop has changed the game a bit; can you imagine a planted aquarium that consisted of 100 unique plants, no two alike? It doesn’t sound appealing, does it? 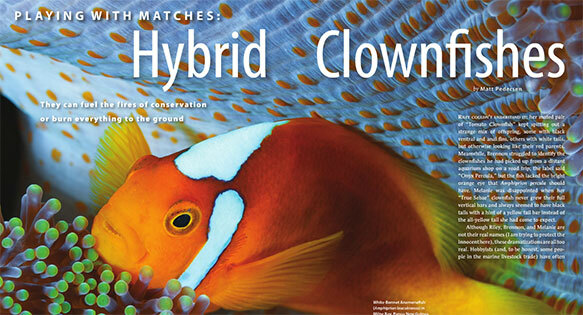 Then again, some of the most celebrated reef aquariums seem to fit that description. I counted at least 7 distinct colonies of the Neon Green Candycane Coral, 6 separate stands of Ponape Birdsnest, numerous small Green Monti Cap colonies, 4 or 5 Blue Digitatas, and nearly as many Orange Digitata colonies scattered around the tank. This is arguably a much more natural approximation of a wild coral reef. Just as a forest is not made up of dozens or hundreds of unique species and forms but generally consists of a core group of species in large numbers, so too Knop’s reef reuses corals as visual elements that make up the base of his captive coral reef, ultimately suggesting a more realistic approximation of a coral reef. 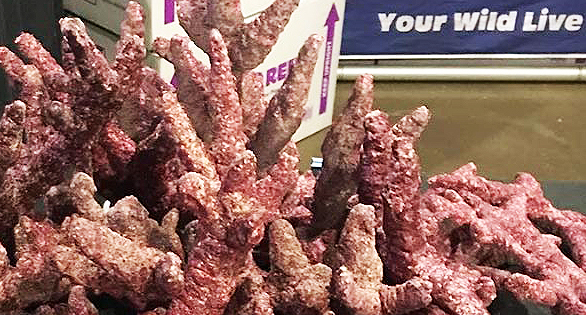 In choosing and placing these repetitive corals, Knop’s design creates several good examples of what Dr. Paul Whitby of HighDefCorals refers to as color blocking: placing corals of contrasting and complimentary coloration in proximity, which brings attention and hightlight to both. But I’ll take it one step further and note difference of form as well; the textural aspect of the corals adds another bit of contrast to the composition. One of the my favorite examples in Knop’s reef is the mixing of Green Birdsnest colonies with Ponape Birdsnest colonies – I am admittedly in love. Using contrasting corals in close proximity creates visual interest and appeal – here a Ponape Birdsnest resides between two Green Birdsnest colonies. Everywhere you see purple, it is generally offset by one or more shades of green. 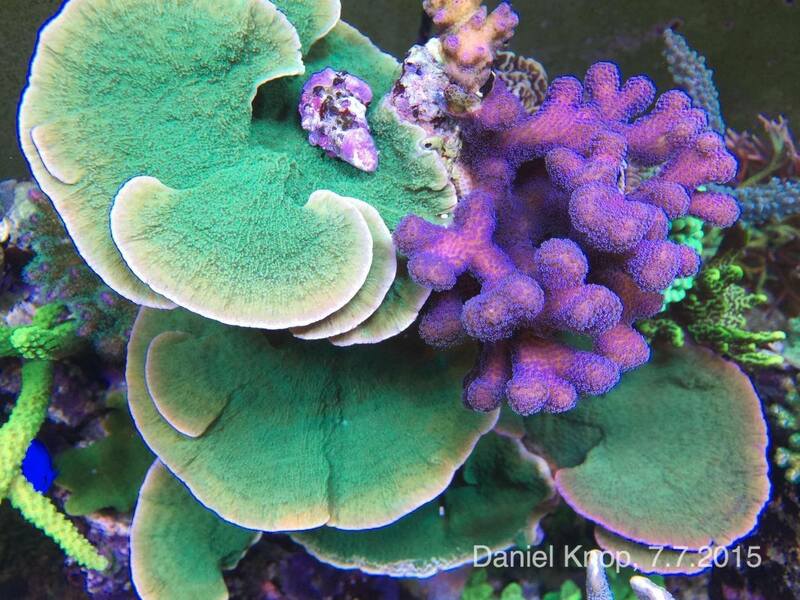 A purple Stylophora is extremely well-framed by the contrasting coloration and shape of green Montipora capricornis. 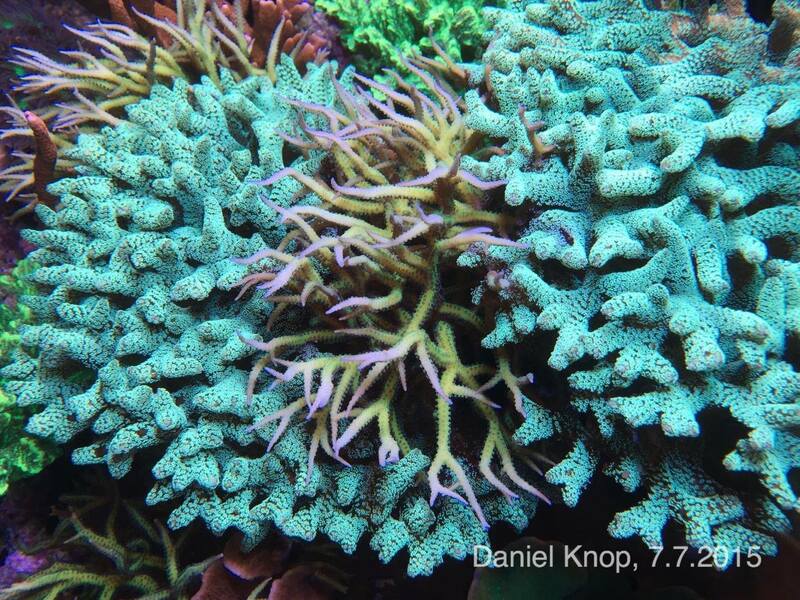 Of course, Knop’s reef isn’t simply a jumbled-up frag tank consisting of the same few corals over and over again. 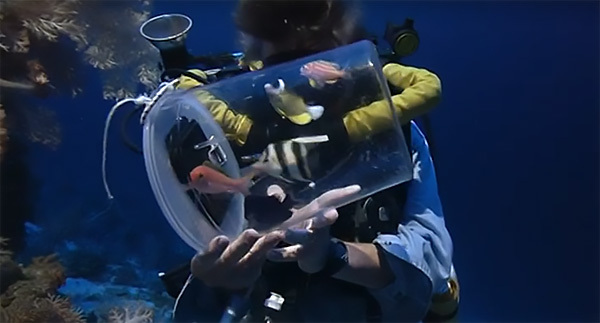 There are also several examples of single occurrences of corals within the tank, and it is the juxoposition of a single unique coral, against a background supportive cast of repetitive corals, that further highlights these special individual colonies. Some of these are showpieces front and center, while others are tucked away, offering a hidden surprise for the viewer to stumble upon and enjoy. Can you find the Blastomussa colony? What other hidden treasures has Knop carefully tucked away for you to find? 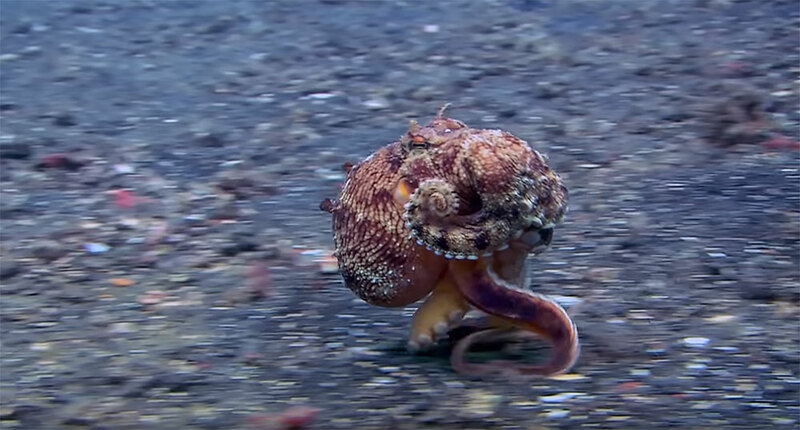 Join him on three virtual dives of his reef. Do you like what you’re seeing? I sure do. 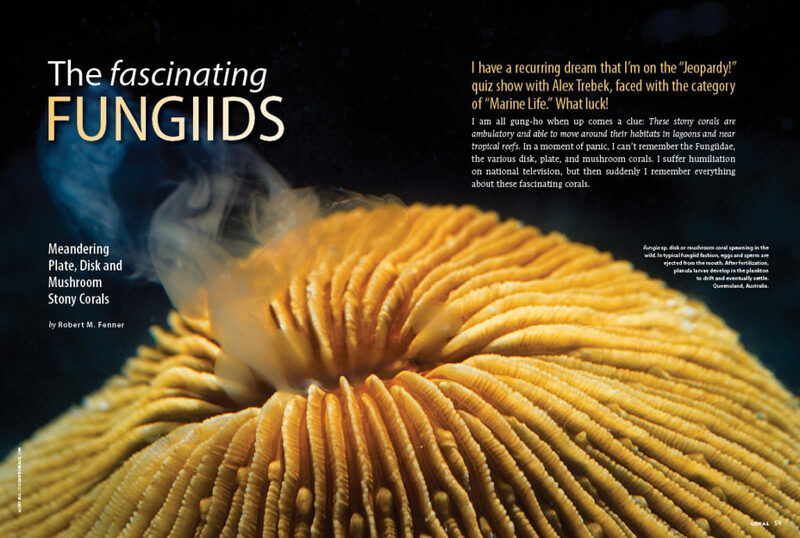 As we’re about to launch our Bulletproof Corals issue (CORAL Magazine, September/October 2015), one of the most recurrent themes to success is “stability.” Daniel Knop has created a reef that’s readily obtainable by anyone willing to commit to a simple routine, and if you really think about it, the particulars of Knop’s reef and husbandry routine might not matter all that much. 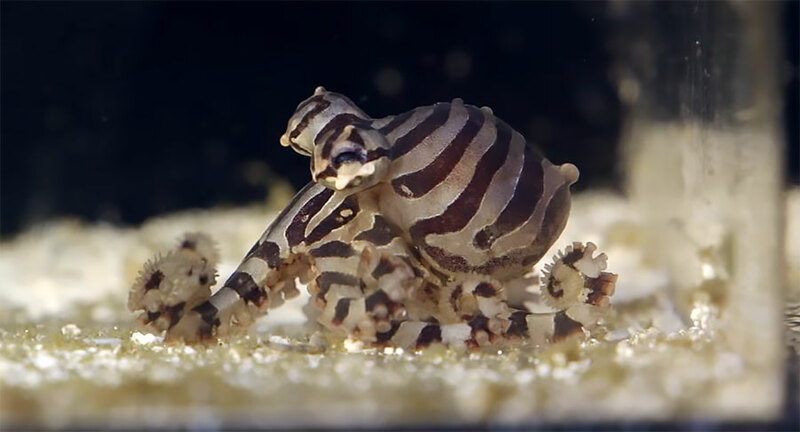 It is more that there is a routine, and the stability that is inherent in that, which may be at the root of this aquarium’s success. Not to dismiss Knop’s ideas; you’re going to find them highly intriguing when this reef makes its way into a future issue of CORAL. We’ll make sure to update this page when that happens! Want More? Buy Back Issues for Your Personal Library. 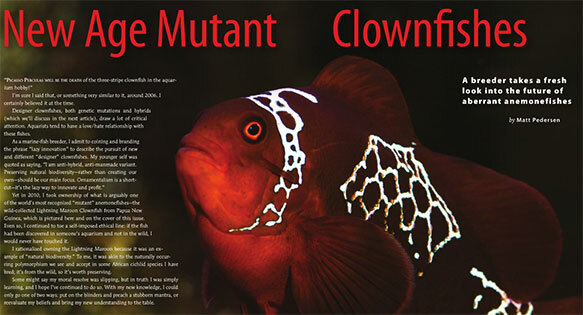 As promised, Knop has used this latest reef aquarium as a great teaching tool for our readers. 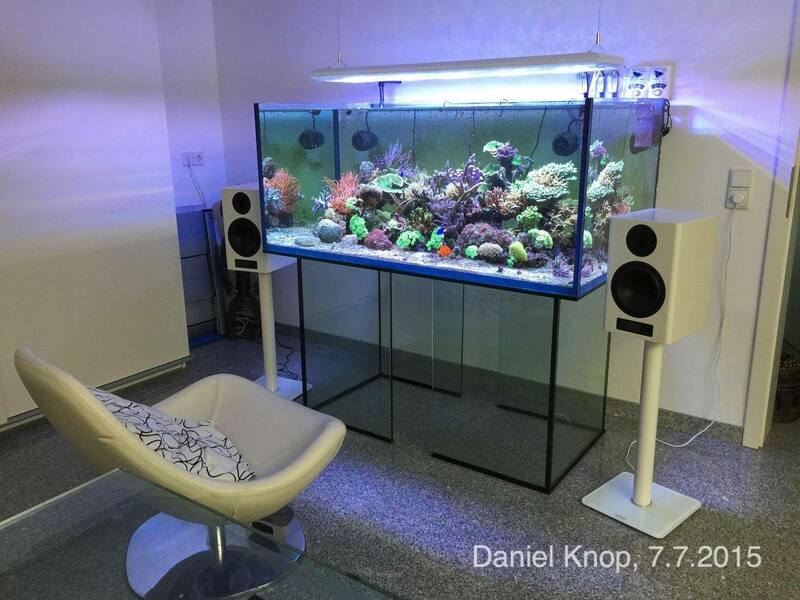 On page 73, read Daniel’s Reef — The Koralle editor’s minimalist aquarium, by Daniel Knop, in the May/June 2016 issue of CORAL Magazine, HIPPO TANGS. Click the cover below to order this issue. 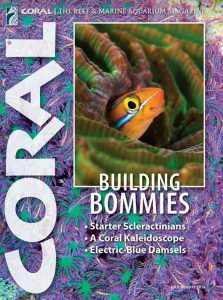 Build Your Own Bommie, and Starter Small-Polyp Stony Corals, both by Daniel Knop, bring further insights from Knop’s reef to light in the July/August 2016 issue of CORAL Magazine, BUILDING BOMMIES. Click the cover below to order this issue. 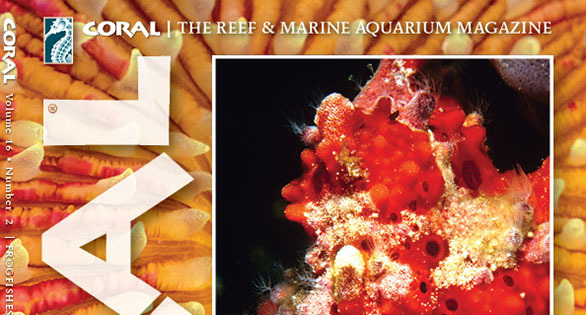 Learn more about a convenient and personal subscription to CORAL, the world’s premier marine aquarium magazine. All videos and images are copyright Daniel Knop. Brilliant, different and successful example of what it can be done with great knowledge and husbandry. Congratulations. What is he using for filtration? You should check out the whole article! 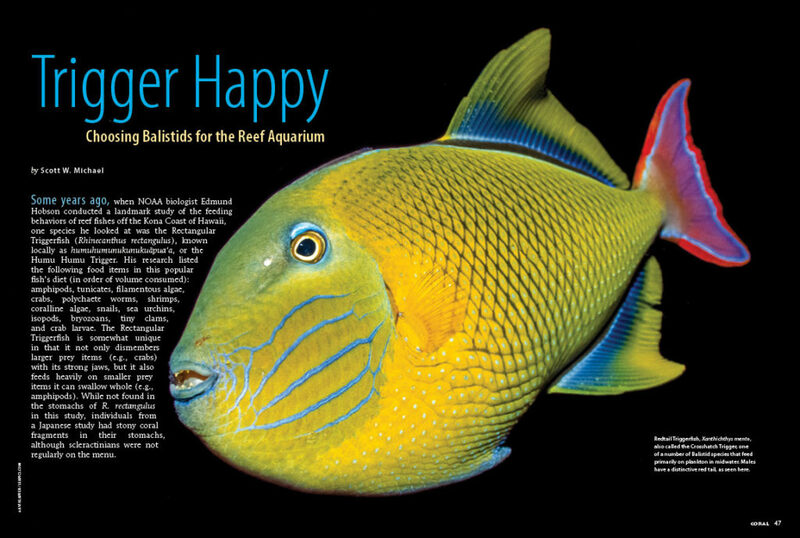 Ginger, from the March/April 2016 issue of CORAL Magazine, the tank has a roughly 75 gallon sump, and for water treatment, "Venturi-skimmer Aquaflotor (Schuran); Bed filter (Schuran), filled in part with Biopellets All-in-one (Coralsands); Rolling fleece filter Rollermat (Theiling) or filter floss pot for mechanical filtration." You should check out the whole article!